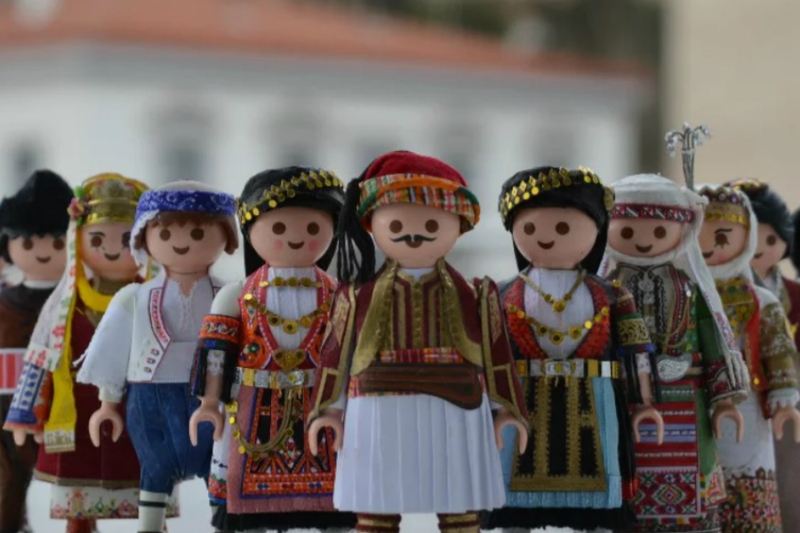 ICDI partners with Leiden University’s School of Asian Studies in the latest TOY blogpost. It is written by Jos Schouwstra, who this month headed off to Japan to begin her research as part of her Masters in Asian Studies. Two of the most pressing problems in contemporary Japanese society are the low birthrate and the aging population. One in three Japanese will be 65 years and older by 2050. The current birthrate, 1.38, is below the number needed to sustain the population, which is 2.08 (link to source). As a result the government has introduced long term care insurance for elderly care, with the view to both stimulate an increased birth rate and improve care for the elderly. The ‘traditional’ way of taking care of the elderly in Japan was for older adults to live with the eldest son’s family. However, in the decades following the Second World War, changing family role patterns resulted in a decrease of three-generation households and the new norm became the nuclear family. Today, like in many countries in Europe older adults either live independently or in health-or medical-care centres. However, many older people are anxious about who will care for them. They also experience loneliness because of lack of contact with their children and grandchildren (Tagaki et al, 2015). With these concerns in mind, researchers in Japan have been writing about the benefits of facilitating intergenerational contact. Many of the benefits reported are similar to those, which have been highlighted by the TOY research in Europe such as counteracting loneliness and isolation; older adults learning more about contemporary youth culture (Thankg, 2001); older adults having the feeling of being productive and making a contribution to society or their community, enhanced feeling of belonging (Suzuki, 2013). 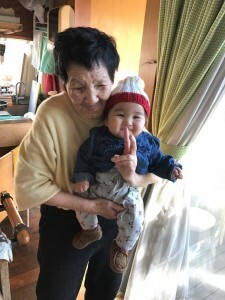 Aoi Care, in Fujisawa, 50 km south of Tokyo is a service for older adults, which puts intergenerational relations at the centre of its care facility. Its founder Tadasuke Katou had been working in an intensive care home for elders, but became disillusioned with the care there, which seemed to only consist of older people lying in bed, sleeping and taking their medicine. He quit his job to set up Aoi Care (website in Japanese). Aoi Care consists of two sections: a residential area with a capacity for seven older adults coping with dementia and an ‘open’ section where older adults can visit and can stay for a short period if they want to. 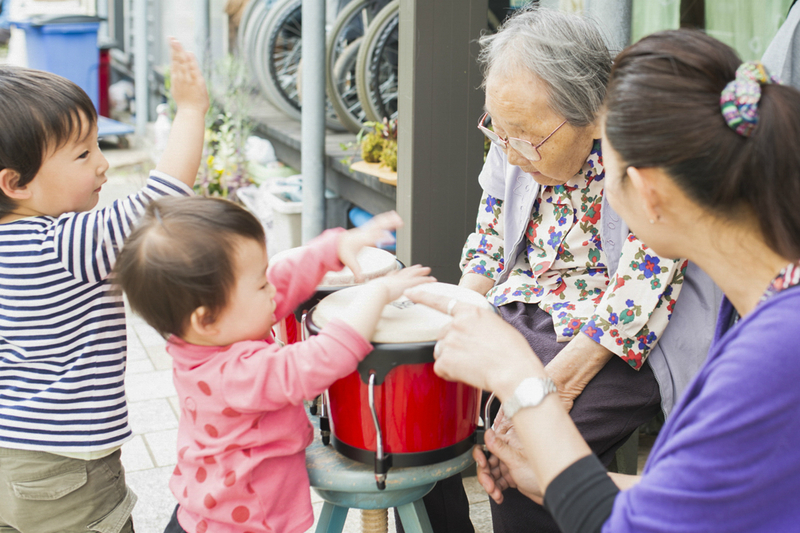 Daily life in Aoi Care puts a priority on participation of older adults from the surrounding neighbourhood, productivity and independence of older adults and intergenerational contact. Aoi Care is physically and metaphorically close to the community. Weaving through its buildings is the public street, on which the neighbours of all ages to travel from home to the city, school and their work. So children going and coming home from school go along the street coming in contact with the older people in Aoi Care. Contact with younger children is also made possible by the fact female employees at Aoi Care can take their children with them to the day-care facility. Unlike many intergenerational programmes which decide for older adults and children what the joint activity should consist of, the older adults in Aoi Care are free to plan their own daily activities including those involving contact with other generations. 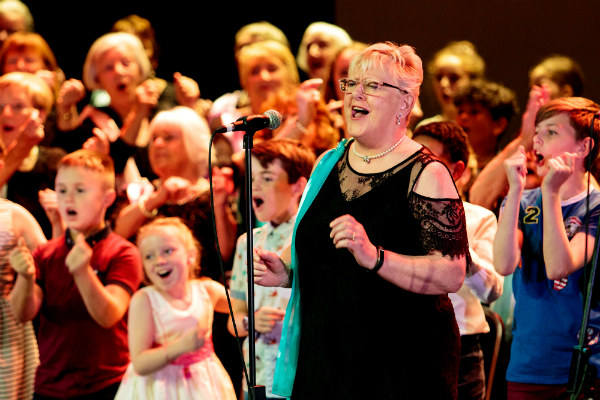 It is not an unusual sight to see children and young people together with older adults in Aoi Care. Children visit to make tea with the older adults or to play catch ball. 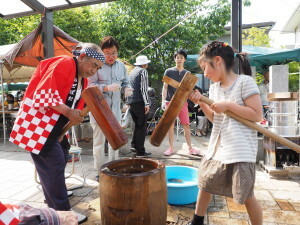 The children also sell the tea and other products made in Aoi Care together with the elders (link to video). 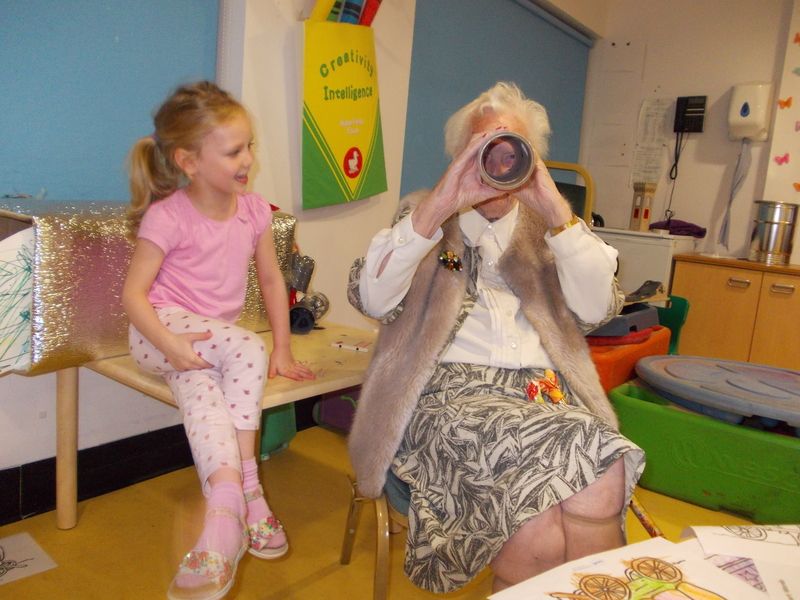 Through this joint enterprise children develop new skills and get used to interacting with older adults. On their side, the older adults feel included in the neighbourhood and as a result are happier. Unfortunately, centres such as Aoi Care are the exception rather than the rule in Japan. Hopefully the positive attention Aoi Care is receiving both in Japan and internationally will inspire other communities and local and national governments to support similar ventures which reposition older adults as citizens at the centre of their neighbours alongside other generations of all ages. For more information, please contact TOY or the author of this blog: josschouwstra@gmail.com. Takagi, Emiko, and Yasuhiko Saito. 2015. “Older Parents’ Loneliness and Family Relationships in Japan”. Ageing International. 40 (4): 353-375. Thang, LengLeng. 2001. Generations in touch: linking the old and young in a Tokyo neighborhood. Ithaca: Cornell University Press. Suzuki, Nanami. 2013. The anthropology of aging and well-being: searching for the space and time to cultivate life together. Osaka: National Museum of Ethnology.